OFFICIAL LISTING! Contact Kirsten Myers at SoldByMyers.com 623-551-1000. This 4 bedroom 2.5 bathroom Anthem Parkside home for sale is all on one level in the highly desired neighborhood of Legacy. With its secluded backyard, it is the epitome of privacy due to its location within the subdivision. The oversized lot is over a quarter of an acre, with a refreshing pool, putting green and extended covered patio. You’ll love entertaining and relaxing in your own backyard retreat just as these owners have. The formal dining room (currently with a pool table) is on the left of this home’s entry and to the right is a flex space with double doors and built-in bookcases. This space makes for a great media room, office, den, playroom, living room or gym – it’s all up to your design tastes and needs! The kitchen with its granite slab counters, raised panel cabinetry, gas cooktop, and built-in oven and microwave overlooks the great room. The great room features a gas fireplace and views to the outdoors. Split from the master, are 3 additional bedrooms and 1.5 bathrooms. 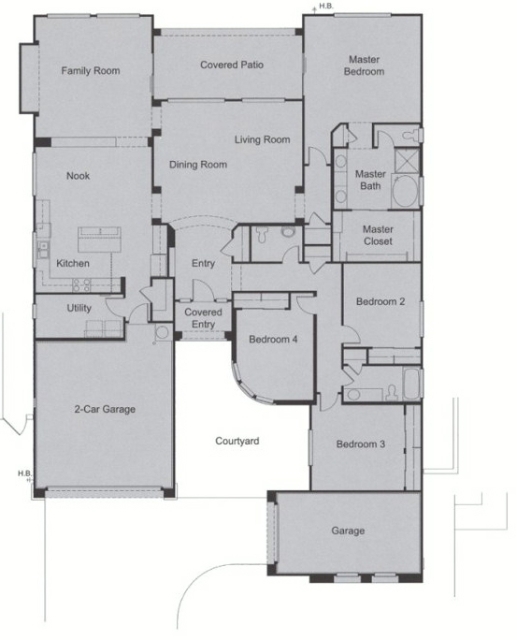 These 3 bedrooms share a hallway bath with double sinks and a door separating the toilet and shower room. The back bedroom is oversized which makes it perfect for multiple siblings, a guest suite or a play room. This 4 bedroom 2.5 bathroom Anthem Parkside home is the popular “Serenity” model with it’s well laid-out, designed and appointed floor plan. This home is served by Gavilan Peak Elementary School and Boulder Creek High School in the Deer Valley Unified School District. Call us to view this beautiful Serenity model home. Contact the original lister Kirsten Myers or David Myers at 623-551-1000. www.SoldByMyers.com for immediate information. Square Foot : 2,738 sq. ft. Lot Size : 11,807 sq. ft. 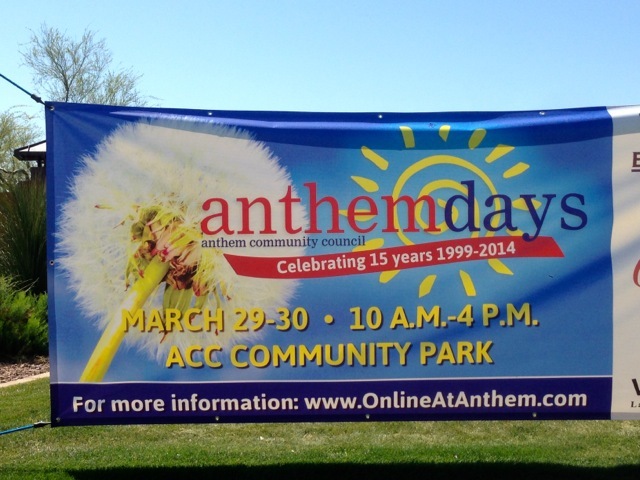 The end of March 2014 ushers in another Anthem Days’ celebration for the community of Anthem, Arizona and the surrounding NW Phoenix Valley. This year marks the 15th Anthem Days event and is packed with all the typical fun and revelry that those of you who have been to one before have come to expect. One could argue that Anthem Days is Anthem’s signature festival with it being the longest running annual event that it celebrates. The fun begins on Saturday, March 29 from 10:00AM – 4:00PM and repeats on Sunday, March 30 at the same times. There are several other events that take place both days such as World War II airplane flyovers. 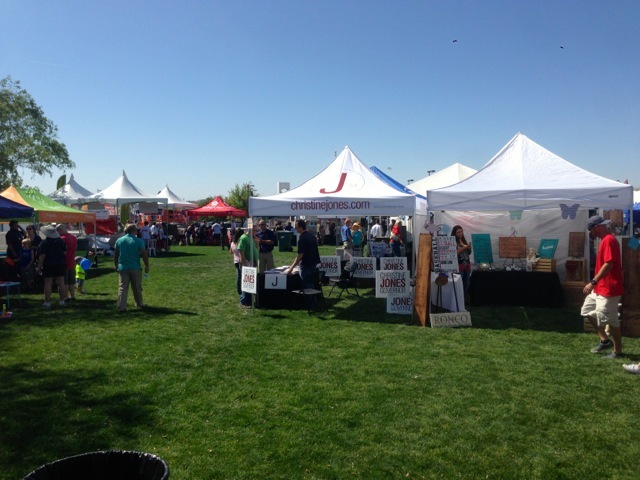 For those that are not as familiar with all the businesses Anthem has to offer, many of them have booths set up where you can meet up and discuss what they have to offer all on the same area on the grass. 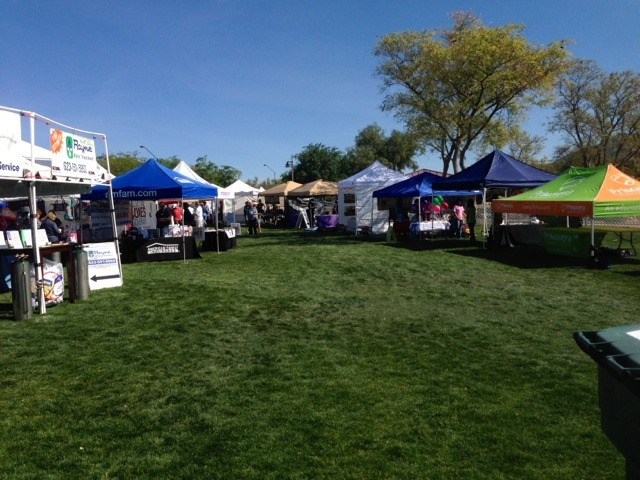 There really is no better way to see several vendors all in one day while you merely walk around the fields of Anthem’s community park! Many of you reading this are probably not used to seeing such lush green rye grass this time of year. Well, come on our to Anthem Days and experience for yourselves how great our little city is here in NW Phoenix. This festival is open to everyone. Admission and parking are both free. Come on out and meet new friends, say “hi” to old friends, and just get reacquainted with why you love the community of Anthem, AZ. Oh, and if you find that you want to learn more about our community and how you, too, can find a house to call “home” in Anthem Parkside or Anthem Country Club, we can probably help you out with that, too! Cheers! It doesn’t take long when out showing homes for sale in Anthem AZ to see some unique items out for display in the seller’s house. You see everything from weird paint color choices and carpet selections to things hanging that typically are found on the floor to window treatments thought only to be seen in a Broadway play. 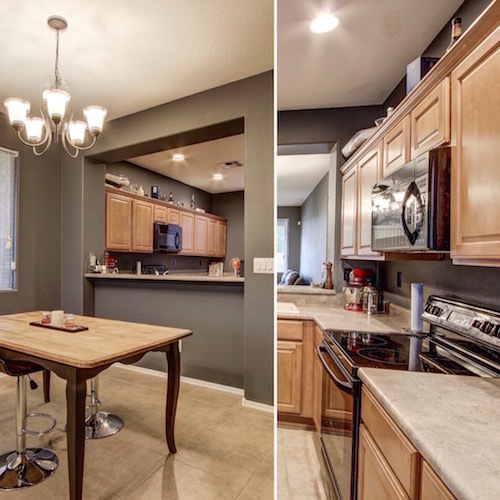 You never think to yourself, “Wow, I now have seen it all!” This is because the last “head turner” only serves to prove to you that you have many other homes with which to see the insides of in the NW Phoenix area, and any one of them is ready to entertain you! I am out showing my buyer a few homes in Anthem AZ this morning, and we came to one of our final selections. (There are not a whole lot to be seen these days, as many of you know!) The listing agent meets us at the door for a bit of a “guided tour” of this very nice home, and I notice that the kitchen has two refrigerators in it. This is normally not something to notice other that the fact that this particular home for sale in Anthem AZ is only around 1,300 sq. ft. – rather small to require two refrigerators in my book! 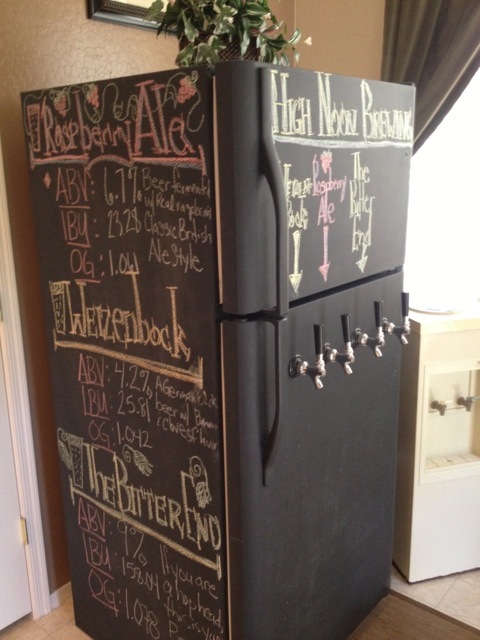 To top it off, the other fridge is being placed in the home’s kitchen nook! Upon closer examination, I see that this is going to be one of those new “ah-ha’s” for me today! 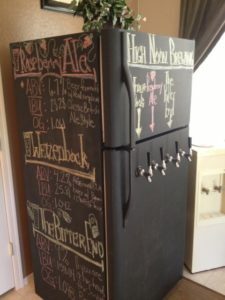 The extra refrigerator is being used as a cold distiller and has even been modified to include four separate taps… very cool. 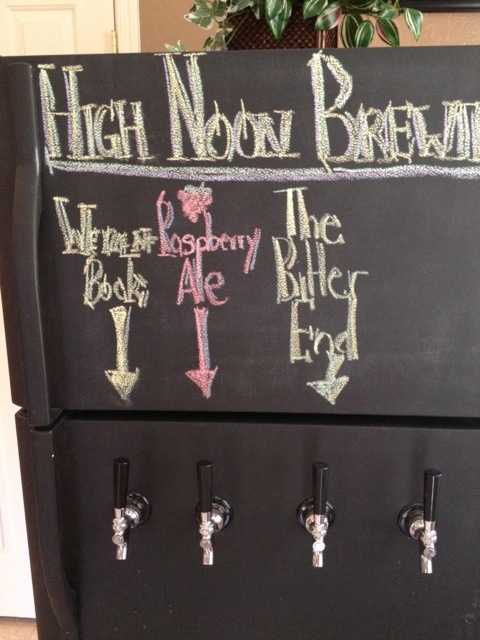 The sellers are avid beer lovers and have gone to great lengths to instill this passion into their daily lives. (Sorry, I couldn’t resist.) The seller’s agent went on to tell us how the sellers were recently married and served their home brew to all their guests – some 100+ people! 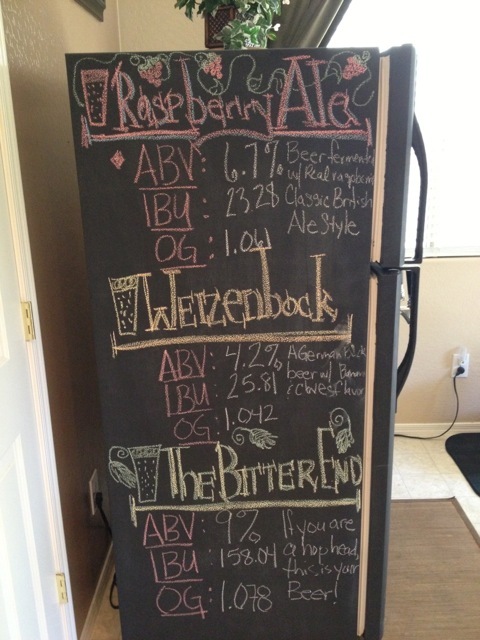 You can see in these quick photos that there is a good deal of science that goes in to these unique flavors of beer. 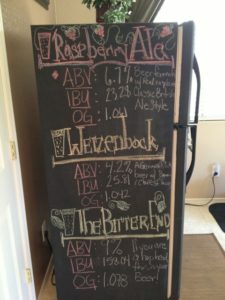 I must say, not being an avid beer enthusiast, myself, I was quite impressed with the effort this couple displayed in their beer-making passion. Though my buyer client chose not to place an offer on this home in Anthem AZ, it was fun to see another unique aspect to an Anthem Parkside home for sale.